Recruiting the right candidates: A good HR team can come up with a well thought out plan for recruiting the right candidate who can infuse within the team perfectly and can be an asset to your organization. 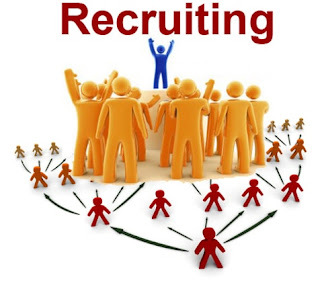 These well thought out strategies can also help in singling out such a talent faster and speeding up the recruitment process. Employee Training: Any team or an employee, working on a particular project, is needed to be constantly trained for them to be ahead of their game. Technology keeps evolving every second and it’s important for humans to learn to accept these changes in order to make the most of it. An HR team with both experience and expertise can set these up and keep the team always on their toes. Laying off liabilities: While a great HR team can help bring in more talent, it is also in their job description to identify the liabilities in the team and have them effectively removed from your team of champions. It is thus a more than an important step to ensure your company’s growth. A team is always as good as its weakest link and thus it's important to find them and have them reposition in a different team. 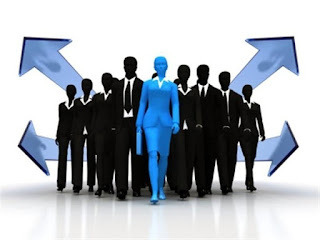 Evaluating employees: Another great job that a well-trained HR team needs to do is to find out the current abilities of an employee with respect to what they were when they joined. Hence it is important to keep evaluating them at a regular cycle. Find out the parameters that are important for their job and see where they stand with respect to that. Seeing the development rate of an employee will let you see whether the employee should be congratulated or is needed to be retrained on a particular skill. Lay down the rules: An HR team also needs to strategize and find the right rules and practices acceptable to the office. Any team that works without any rules is doomed from the very beginning. Unless you have a set down set of principles, no matter how loose or how strict they are, needs to be present. You need to have ethics in a workplace which should be devised as per the requirement of the employees and enforced by the very capable HR team. Help with legal problems: Legal disputes arise many times while working in a rather critical or high-pressure environment. Individuals or teams make mistakes and sometimes are threatened with a legal action which is part of a company’s timeline. To make sure this does not fit your company with a setback, it is important that as a part of the HR team you handle the said issue well. It is important to minimize the legal damage, consult with both parties and try to resolve the said issue without it ever being taken to court. Human Resource management services on demand, should be readily available to assist any and all employee in the above-mentioned matter. Resolving conflicts: Conflicts are a part of a company too. Wherever there are individuals, there will be mistakes and problems arising between people and fights could be a byproduct of that. This does not bode well for the growth of any company. 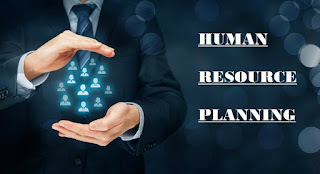 This thus is needed to be resolved as peacefully and strategically as possible which can be handled pretty well by the HR department of your company. According to a company dealing in human resource planning recruitment in Denver, employees need to feel safe in a corporate environment to perform the best and this safety can only be ensured by the HR team. Maintain a rewarding culture: A well functioning HR team also is responsible to keep the employees happy and satisfied. This includes invoking a feeling of corporate unification, making team feel like a family and helping them feel confident with all the things they try to achieve. This includes holding celebrations, celebrating birthdays, awards ceremonies for outperforming employees and for the most part to let them feel comfortable in a highly stressful environment. "All of the above is highly important for the growth of any company regardless of where they come from. Without your HR team, handling the above-mentioned issues, you are bound for an unexpected and rough journey to the place you’re aiming to reach."